It's day two and I had two workouts today. People are sometimes shocked when they hear I sometimes workout twice a day but I don't mind it so much. The first session is usually before work or at noon and the 2nd session is usually after work. 4 hours have elapsed and the workouts are so different; one is high impact and the other is usually lower impact. I also like working out during my lunch hour because the day goes by faster and I'm not tempted to go out to eat with my work family. For breakfast, I had a whole wheat English muffin and almond butter. 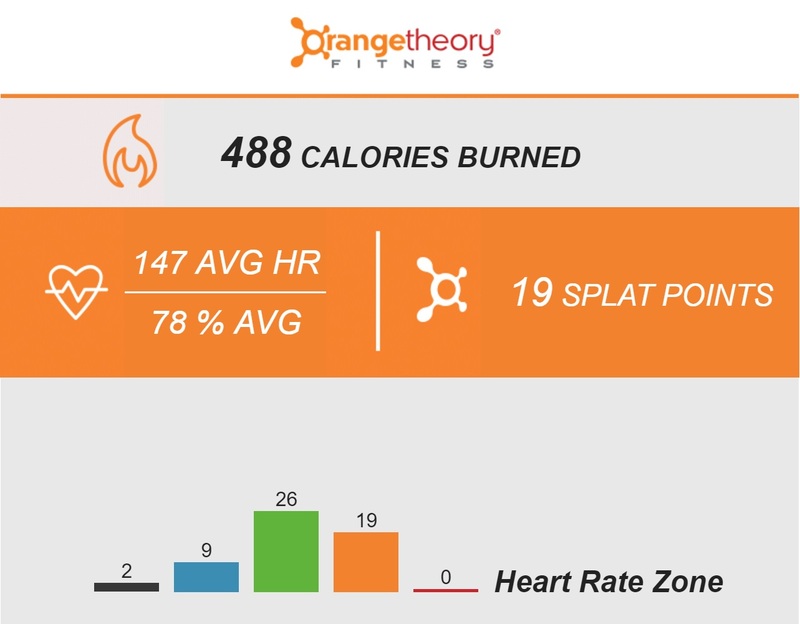 At lunch, I went to Orangetheory for a noon workout. I like to consider OTF as my "cross training" despite us running a little. Today was ESP (Endurance, Strength and Power) day. The workout wasn't too bad, not much rowing, just quick spurts of 100, 150 and 200 meters. The floor workout was a good mixture of arms, core and legs. My favorite was the "Scaption" raises which is almost like lateral raise that meets a front raise and is off to the corner. My least favorite floor exercise was the dumbell step ups. I'm not complaining but as a short person, it's always a little harder stepping on those benches! I didn't earn any splat points on the floor so I had to kick it up a notch on the tread portion. I'm glad Chrys coached us today and gave us mini goals to work towards. With the combination of pushes, all out sprints, walking recovery and HILLS, I managed to get to the 2 mile mark. 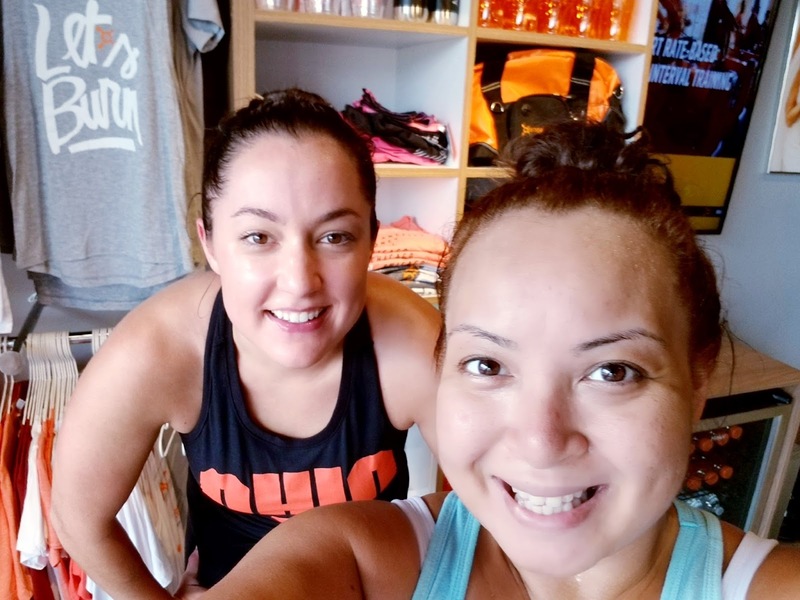 It was also great to workout next to my #gymbff Kristin where we would share heavier weights or push each other on the tread. We're alike in many ways that we both love to eat and drink too much! The difference is that she can maintain/control herself throughout the week and successfully track her calories on myfitnesspal, whereas if I tracked it, the app will break. 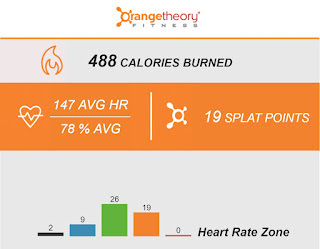 My goal is to get at least 12 splat points and over 500 calories in each class but today I didn't get there. I was too busy to have my protein shake post workout and I continued back to work. I know it's super important to eat after a workout but I screwed up today. 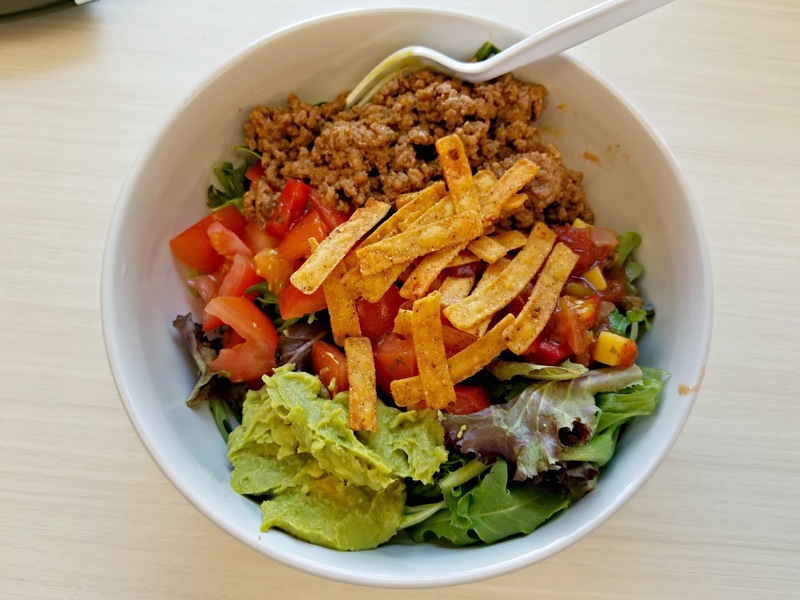 For lunch, I ended up having a homemade taco salad with guac and tortilla strips. Not the healthiest but baby steps! After rushing out of my Monday sales meeting, I ate an apple on my drive to Xtend Barre Burlington. I love the stick class because I can go deeper in my plies and it helps with my shoulder and hip mobility. Jessica is a great instructor and I always look forward to her Monday night stick class. Stick classes incorporates a bungee cord, a wooden pilates stick and loops and offers an effective total body workout. In class, we strengthen our arms, glutes, core and legs. Today, I couldn't give 100% because my ankles and shins were slightly sore from yesterday's run in the new sneakers so I had to be a bit more cautious and gentle on my curtsies, lunges and releves but I still felt good.